Free unlimited wi-fi, flatscreen TV’s with SKY TV, air conditioning, tea & coffee making facilities and a mini fridge. 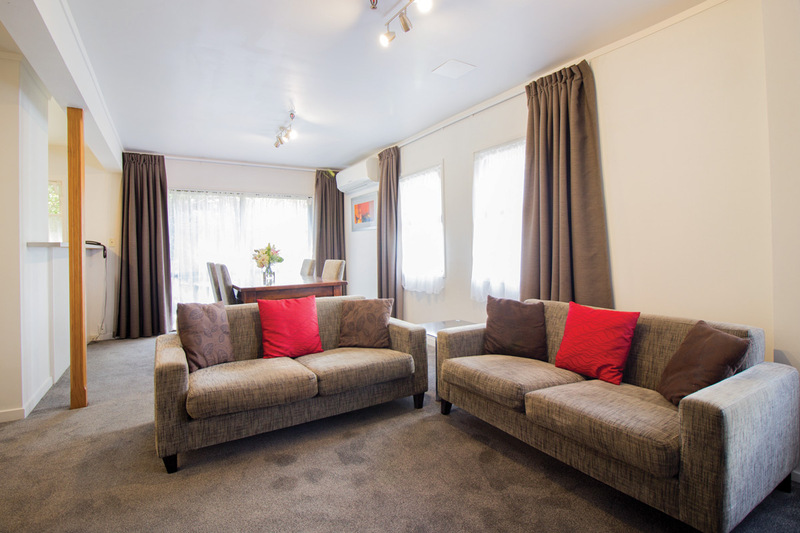 Available in a range of configurations to suit travelling business people, single travellers, couples and families looking for affordable Auckland accommodation. 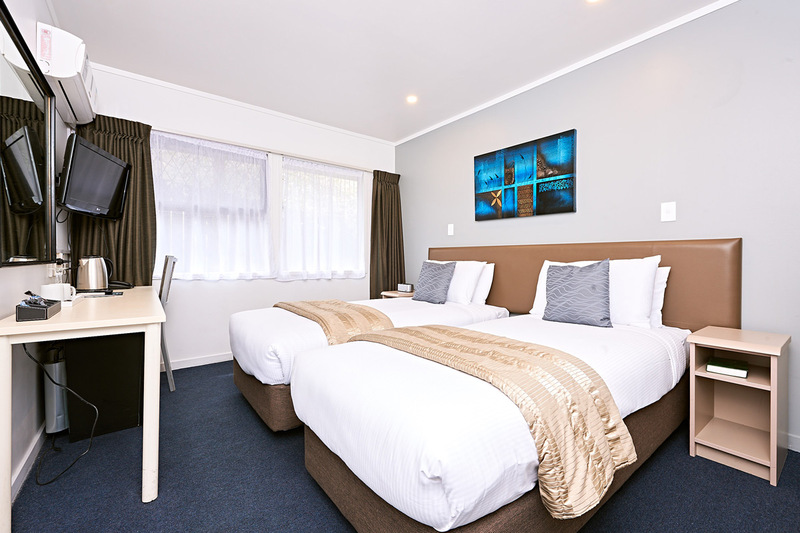 Conveniently located near Sylvia Park and Mount Smart Stadium, it is easy to get to Auckland Airport and Auckland CBD from our accommodation. Available for our guests convenience are the following facilities: free on-site parking, outdoor swimming pool and spa, Poolside Restaurant (room service available), guest gymnasium, business centre with internet kiosk and printer, gaming room. Best value for money. 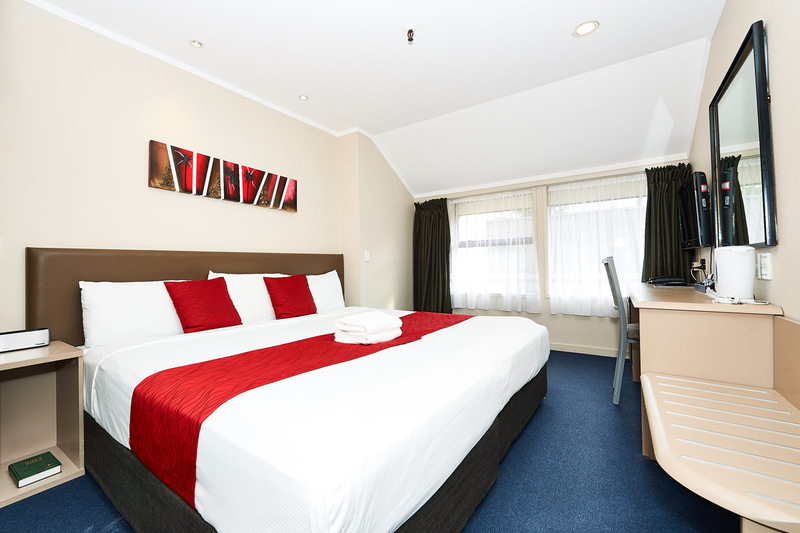 These rooms offer a large super king bed or two king single beds on lower floors and are smaller than our other rooms. Renovations completed in 2017. Comfortable rooms located on various floors. Enjoy a large super king bed or two king single beds. Smaller than our Executive rooms. Renovations completed in 2017 including new bathrooms. Great for travelling families or close friends, our Family suite offers two adjoining rooms with one super king or two king single beds in each room. Renovations completed in 2017 include new bathrooms. Our finest accommodation. 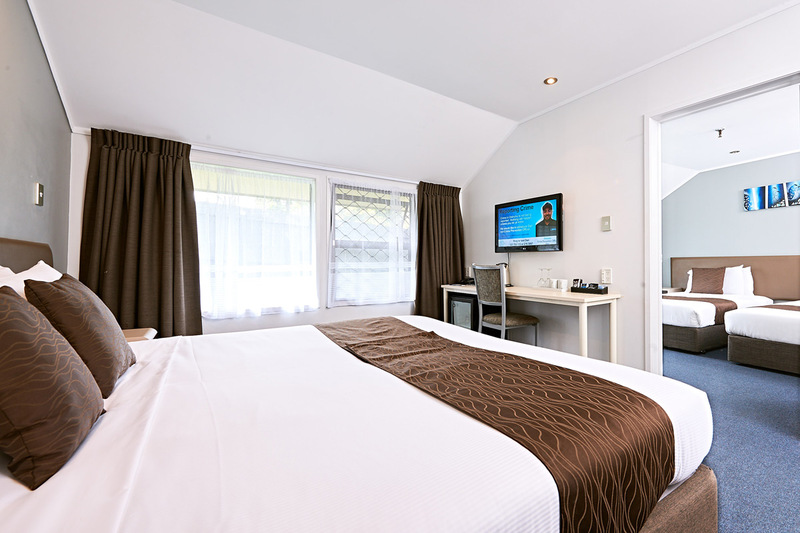 Spacious rooms located on the top floor of our accommodation with a luxurious super king Bed or two king singles. Fully renovated in 2017 including new bathrooms. Spacious one bedroom apartment with full kitchen facilities, Open-plan living and dining area, ensuite bathroom with shower and bath, washing machine and dryer. Free unlimited wi-fi. Air conditioning. LCD TV with SKY.